Found 7 file extension associations related to RapidWeaver and 7 file formats developed specifically for use with RapidWeaver. 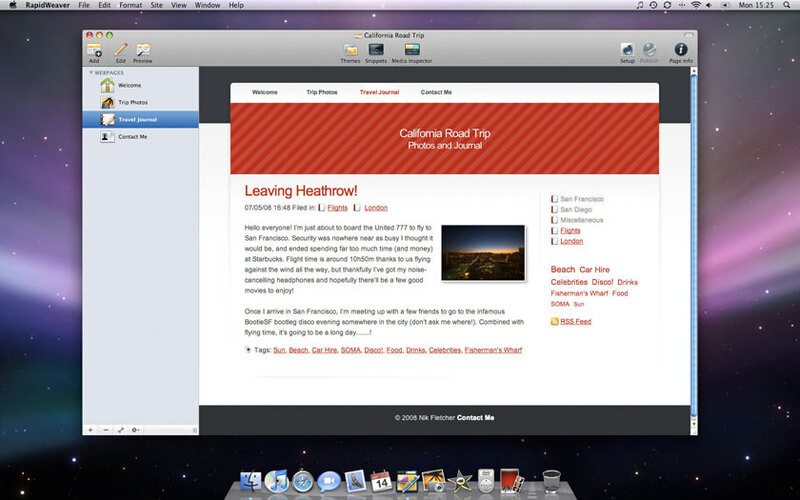 RapidWeaver is a template-based website creation too for Mac, developed by Realmac Software. RapidWeaver makes it ridiculously easy to create stunning websites on your Mac. Whether you're building your very first website or your fiftieth, RapidWeaver provides you with the know-how to quickly publish websites to be proud of. If you need more information please contact the developers of RapidWeaver (Realmac Software Limited), or check out their product website.